Grinding and clenching is very common. For some people it can be severe, leading to visible flattening and wear of their teeth. Tooth wear is made worse when back teeth are lost, causing extensive damage to the front teeth. such as citrus fruits (lemon, lime, oranges), juices, fizzy drinks (including diet sodas), smoothies and alcohol. Can reach the teeth through conditions such as stomach acid reflux, vomiting, regurgitation, bulimia, stomach ulcers, and hiatus hernias. Diagnosing the cause of tooth wear is crucial to successful treatment. The first priority is to eliminate the cause. We can work with you, in confidence, to identify and solve the problem. Dental appliances (splints) may be prescribed by your dentist to treat, manage or prevent various problems. Can cause wear of your natural teeth and can damage your restorations. A night guard appliance may be prescribed to prevent tooth contact during grinding. Pain from the jaw joint and facial muscles has many causes and contributing factors. Sometimes a splint may be provided to rest the jaws and help with the pain. This must follow a thorough diagnosis to rule out other causes of joint and muscle pain. Tooth wear, tooth loss, trauma and growth problems can lead to bite problems, a flat plane splint may be used prior to full mouth rehabilitation to find a comfortable stable bite position. If tooth wear is diagnosed early or only affects a few teeth it can be successfully treated with appropriate restorations. Solutions including bonded restorations, crowns, veneers, and onlays can rebuild the damaged tooth back to its original form. A prosthodontist is highly trained and experienced in rebuilding severely damaged mouths. A full oral rehabilitation is a process whereby your prosthodontist completely rehabilitates all of your teeth to correct the bite, appearance and replace missing teeth. This treatment is only required in specific circumstances and is only carried out after a rigorous diagnostic process. 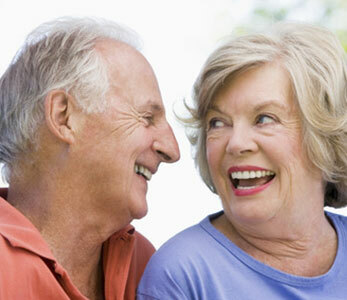 A full oral rehabilitation may involve the use of a variety of restorations. This treatment takes time but the results are amazing!